Many consider the town an edgier, more cultured alternative to Tijuana, and until recently, young Californians flooded in on weekends and holidays, enticed by the tasty seafood, beautiful beaches and energetic night life. Many local residents share Mr. Argiles’s view that negative news reports of the situation at the border were deterring tourists from California from heading south. The incident that stirred the most fear among Southern Californians, Mr. Argiles said, was the shutdown of the San Ysidro Port of Entry last November when a group of migrants stormed the area and agents from the United States Customs and Border Protection fired tear gas in response. Since then, the Rosarito Beach Hotel has suffered a 60 percent drop in room occupancy, Mr. Argiles said, and the property had its worst December in decades. The few tourists who could be found seconded Mr. Argiles’s assessment of why Americans are staying away. John Aslanyan, a pharmacist from San Diego and a regular visitor to Rosarito, said he couldn’t convince his fiancée to join him on this day trip to the town. She was nervous, he said, that there would be a repeat of November’s border closing — a worry shared by many other of his friends, he added. He did persuade his sister to tag along on this jaunt. “This is the first time I am seeing this beach this empty,” said Mr. Aslanyan, the lone diner at a restaurant on Rosarito’s oceanfront. Moises Espitia, an analyst with the Metropolitan Center of Economic and Business Information, a local research group, said the financial pain caused by the border’s shutdown in November was felt particularly acutely in the services and tourism sector. On the day of the shutdown, the more than 59,000 restaurants and hotels in the Tijuana and Rosarito Beaches metropolitan area suffered a collective loss of $6.7 million, Mr. Espitia estimated. “Events like the migrant caravan, without proper response or preventive measures, can have an economic impact in the daily lives of people in this area,” he said. The Central American migrants have generally been warmly received in Mexico. 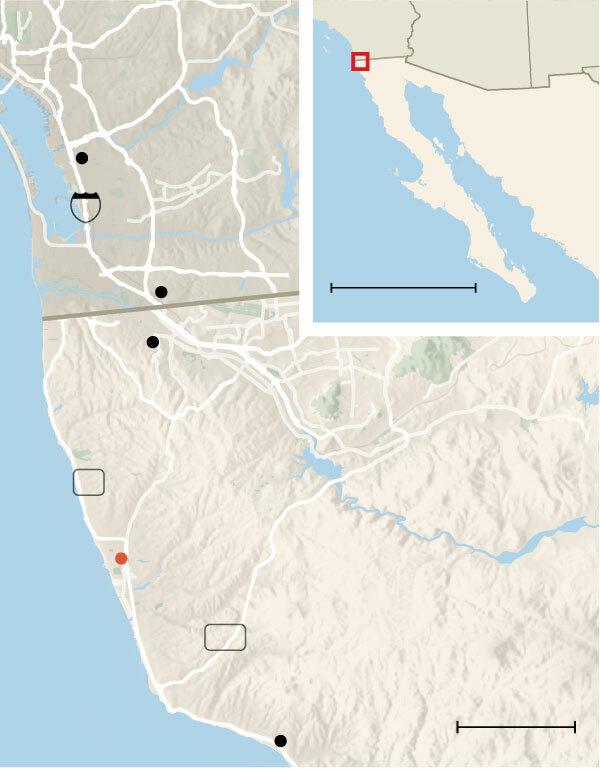 But as the tourist numbers decline, and the frustration and trepidation rises in Rosarito and other tourist-dependent areas in Baja California, some local residents have begun to angrily blame the migrant caravan. “They came here with an arrogant attitude, demanding things, and abused the help we offered them, arguing they are fleeing violence or poverty, but we all are poor!” said Jorge Medina, a manager of the Bombay Beach nightclub in Rosarito. He said his business had plummeted by almost 80 percent in the past two months. Mr. Medina said he agreed with the harsher measures taken by the United States government to deter migrants, including the use of tear gas at the border, and President Trump’s resolution to build an enhanced security wall. Mr. Argiles, along with other hotel owners, is trying to send out a positive message through social media campaigns that Rosarito is ready and eager to welcome back tourists. “We have to recover from this,” he said. Government data, not always reliable, points to only a 4 percent decrease in overall room occupancy in Rosarito last month compared with the same month in 2017, and local officials argued that the recent drop in visitors cannot be single-handedly explained by immigration-related issues. But with the Trump administration’s increasingly hostile anti-immigration narrative, officials are worried of longer-term economic losses. “It definitely does not contribute to an ideal environment for tourism, and our economy heavily depends on it,” said Ives Lelevier, the under secretary of tourism for the state of Baja California. Abel Ortega, the owner of Villa Ortega’s restaurant in Puerto Nuevo, a community just to the south of Rosarito better known as “Lobster Village,” remembered when the line of eager patrons would go around the building, and his wait staff couldn’t keep up with the demand for deep-fried lobsters and margaritas. Last year at this time, Mr. Ortega said he averaged 20 reservations a day but is down to two or three. He looked outside where a worker was desperately trying to court the few passers-by to step inside. “It’s like a ghost town now,” Mr. Ortega said.